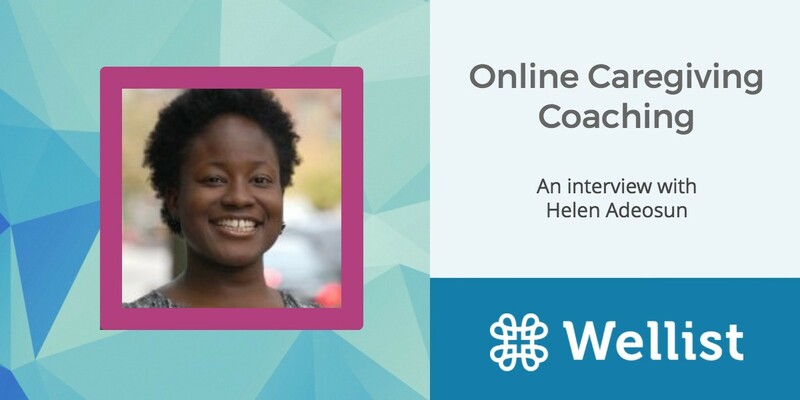 We recently had the chance to chat with Helen Adeosun, the CEO and co-founder of CareAcademy.com. A long-time teacher, volunteering member of her community, and now head of her own company, Helen has found meaning in everything she does. Read on to discover why she’s so excited about the Lynda.com for caregiving, and how it can help you. To reserve your spot for our free web clinic with CareAcademy's Chief Medical Officer, Dr. Madhuri Reddy, click here. Web clinic attendees get a code for a free course on CareAcademy and a recording of the clinic if they can't make it. Helen: We teach caregivers how to best take care of themselves and their loved ones. CareAcademy is an online platform that helps caregivers learn how to provide excellent care. We teach both family and professional caregivers the skills to help support themselves and those they care for. We have national and international experts develop our content and do the teaching, so that our classes are evidence-based, well-researched and interesting as well as engaging. Our classes are video-based and feature common scenarios to help caregivers work through their most frequent day-to-day frustrations. Classes are all online, short, and sensitive to the fact that caregivers don’t have a whole lot of time. Importantly, our classes are available 24/7, from your computer or mobile device. We are very proud of the fact that Harvard Medical School researchers have just finished a study of a CareAcademy class and found that caregivers who completed the class had significantly improved knowledge and were highly likely to recommend a CareAcademy class to others. What is the story behind CareAcademy? In other words, how did you come up with it and what were the challenges with creating it? As a caregiver myself, I was frustrated many times by a lack of knowledge. I found myself on Google or YouTube looking up questions that came up with working with my clients. CareAcademy is our way of bringing learning to life, connecting with caregivers, and helping them learn how to care for those that matter most. My co-founder Dr. Reddy would also see professional as well as family caregivers overwhelmed by their caregiving responsibilities. They didn’t know how to start or where to look for help, primarily because there isn’t anywhere for them to get this type of guidance. Dr. Reddy initially joined CareAcademy as an Advisor, but was so impressed with what we are doing that she has since turned co-founder. She helps find the right experts to develop the evidence base and rigor needed to make sure that the classes have accurate content and work for our caregivers. How has creating CareAcademy changed you? It has made us more resilient, persistent and more flexible. We’re humbled by what we learn about and from caregivers. We are creating a standard in an online learning industry that doesn’t have many existing standards. That means a lot of work and late nights. When we are working, and big technical issues come up, we often go back to the stories of families and caregivers and connect with the big picture of what we seek to build in the world. The caregivers that we meet make us even more determined to create exactly what they need the most and is most practical for them to use. How can people get the most out of CareAcademy? Whether you have 5 minutes or 45 minutes, and whether you are a new caregiver or have years of experience, you learn something new in our classes. As loved ones age, CareAcademy classes help anyone anticipate the needs of older adults and may even change minds about what it means to get older for the better! What are your favorite or most meaningful courses that you have on CareAcademy? All of our classes! But my favorites are the ones that we have for family caregivers. Our challenges are unique for family caregivers. Family caregivers have different expectations for learning; for example, they’re often interested in finding guidance and emotional supports, rather than receiving a completion certificate, because they may have never been a primary caregiver for an aging loved one. We look forward to learning more about how to best provide our classes as a means of supporting caregivers and their loved ones. I don’t think we have yet even scratched the surface. I look forward to developing and building our classes alongside our community of family caregivers. What does the future hold for CareAcademy? CareAcademy’s current goal is to become the most used caregiver learning platform. Further, we want to ensure that our caregivers are not only taking classes but that our classes are improving their lives and relationships with their clients or family members. CareAcademy’s future goals are to continue to learn from our caregivers and develop better technology and solutions to ease their numerous potential stressors. Ultimately we want to help older adults and caregivers lead more fulfilling lives. Interested in CareAcademy? Want to try one of their classes for free? Sign up for our webinar with their Chief Medical Officer, Dr. Madhuri Reddy here.